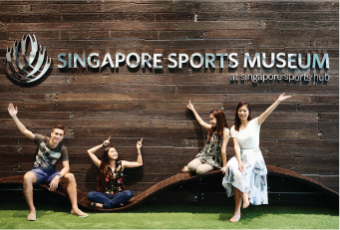 It’s always a season of fun and discovery at the Singapore Sports Hub! Explore the exciting immersive world of sports and adventure and let your creativity and imagination take over! 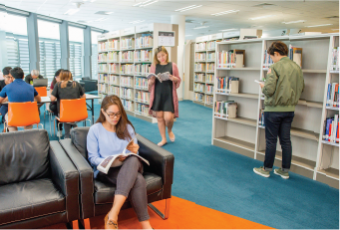 From virtual stations to a dedicated kids’ zone, explore the world of sports at the Sports Hub Library. Discover more on your favourite sport, or take part in the library’s many exciting programmes! Celebrate the history and significance of sports in our beautiful city and be inspired at every turn! 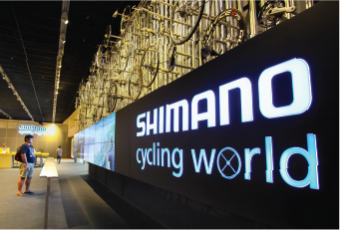 If you aren’t already in love with the world of cycling, this exhibition will change that! 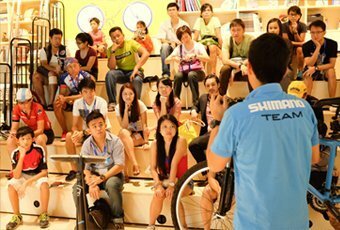 Explore and interact with a trove of cycling exhibits at Shimano Cycling World! Go behind the scenes on our interactive guided tours and be awed by venues that have played host to sporting and entertainment greats! Join us on an awe-inspiring voyage into the wonderful world of sports and wellness with these handpicked highlights. From health talks to fun craft sessions, kick off your week with these amazing events and be inspired! 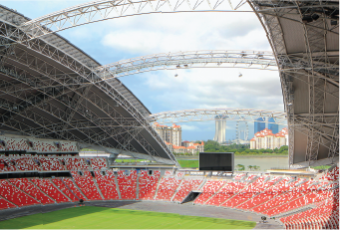 Excite your senses as you take in the captivating views at the National Stadium. Viewing is wheelchair- and stroller-friendly – sign up now and see you at Gate 1! 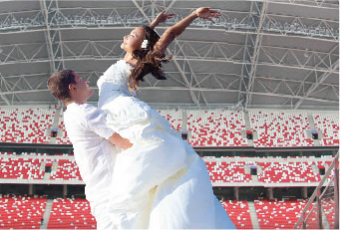 Top off your wedding plans with a spectacular one-of-a-kind photoshoot at Singapore’s iconic National Stadium! 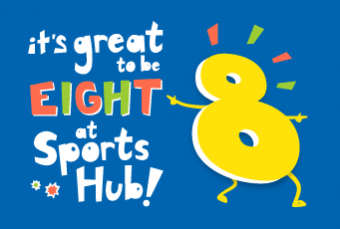 Singapore Sports Hub is extending a pair of FREE tickets to 8-year-olds and their accompanying parent to the events listed here, and many more to come!